Investigate how are circles and sine graphs connected. 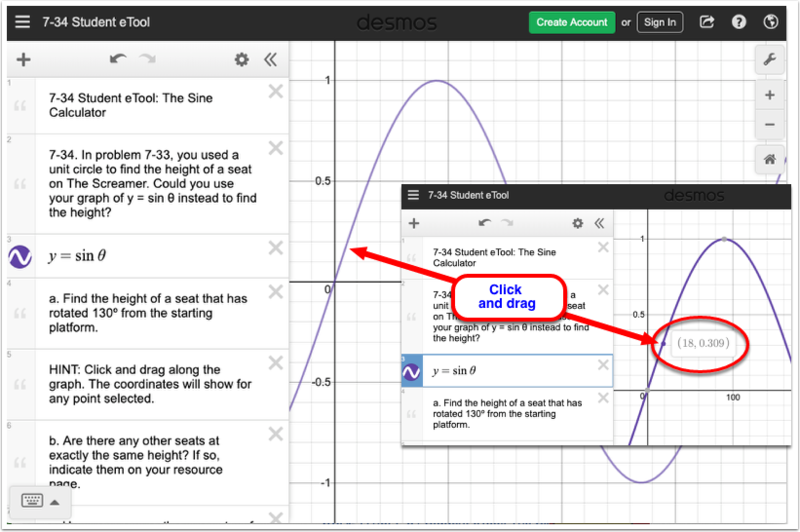 Explore these eTools to find the height of a seat on The Screamer in two different ways: unit circle and sine graph. 1. Click on the BLUE point (slider 'a') on line 4 and drag horizontally to the desired angle. 1. 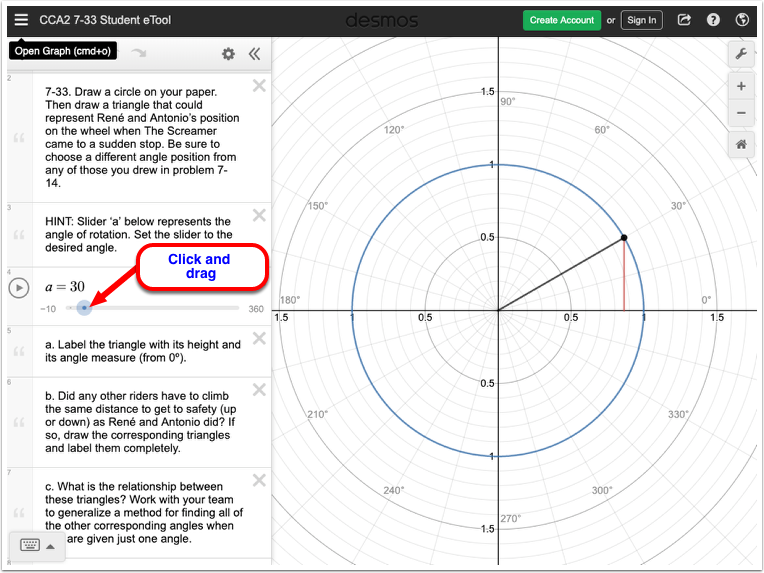 Click on the graph and drag along the curve to view a point and its coordinate.